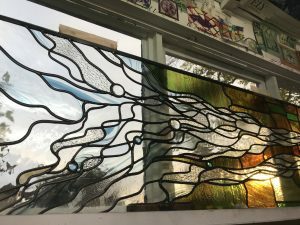 This exciting challenge was such fun to make. 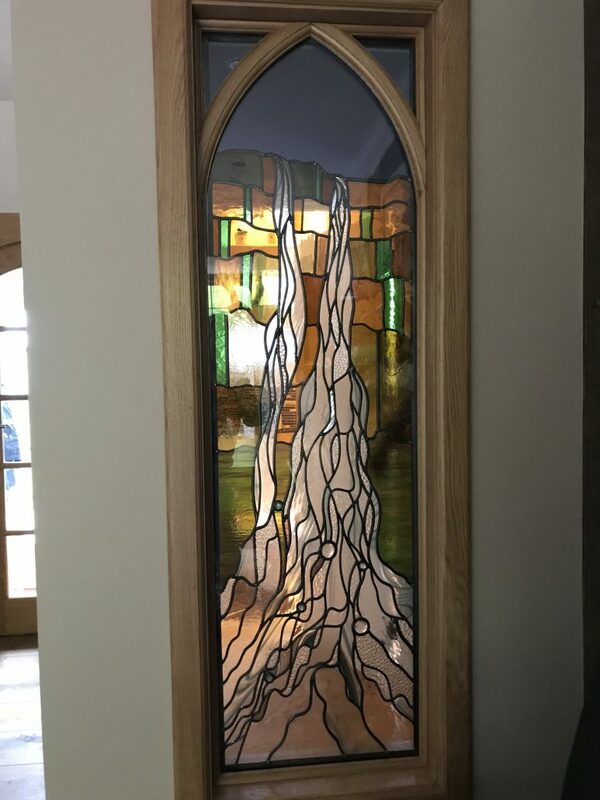 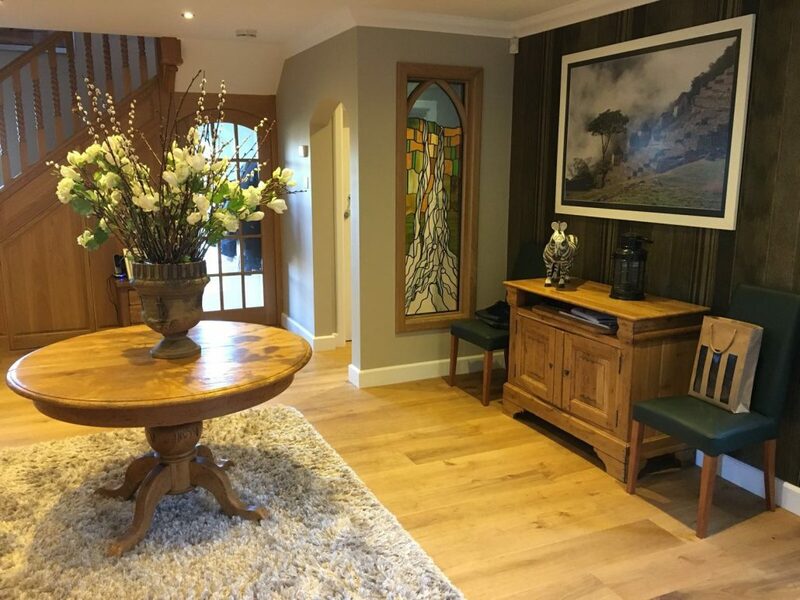 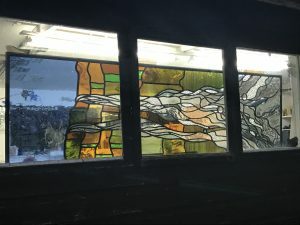 It is a memorable place for my client and so he wanted to represent Angel Falls in stained glass to have a lasting memory. 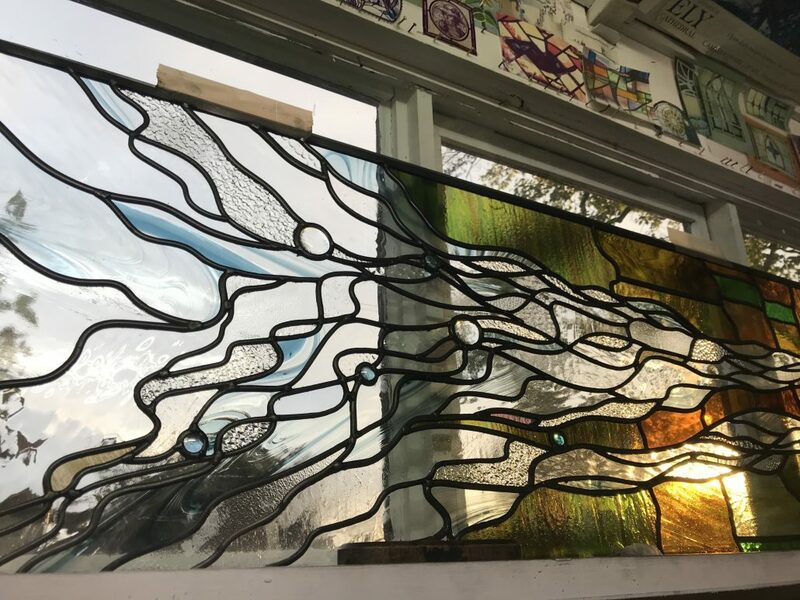 I have used a really varied mix of textured glasses and some dichroic glass to really bring the water to life and make the most of the limited light available. It has been fitted into a sealed unit so that it is safe as the window is at a low level. Some of these images are taken in my workshop, hence they are side on!